Companions half-elf Jedra and ex-templar Kayan search for a mentor that will help them to develop their psionic powers, and are forced to compete against one another in a fight to the death for the gladiatorial games. Original. 75,000 first printing. Urgh, what a piece of garbage, combined RPG guide to Athas, psionics and being a gladiator, sprinkled with an utterly inane story of puppy love with no literary value. Stay far away from this garbage!!! 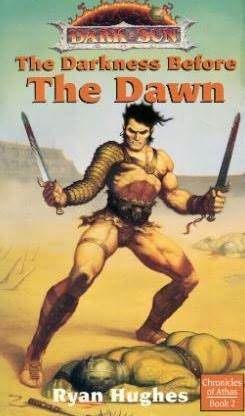 It seemed the author only read a bit of the Dark Sun background. The story was dis junked, some parts were not needed and the characters were not interesting at all. This could have been slipped in to any fantasy setting with a harsh environment area.